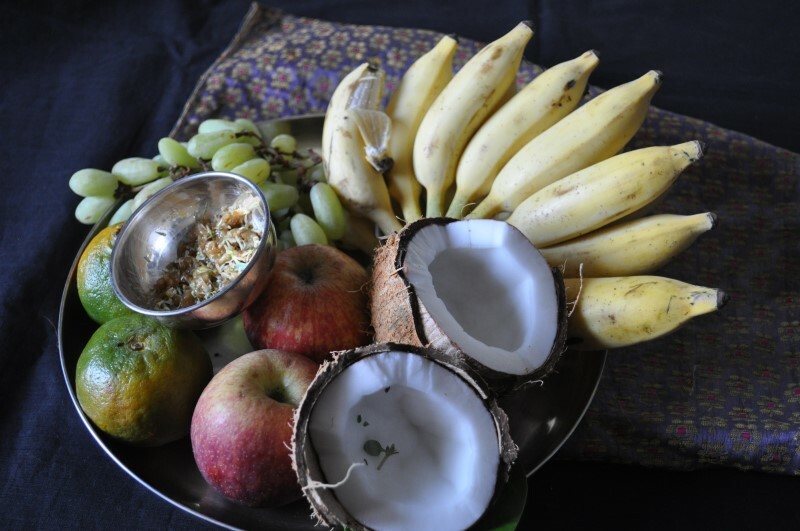 Ugadi, the name is split into Uga + Adi = Ugadi. Uga means Year and Adi means first in Sanskrit as well as in Kannada. The first day of the year is Ugadi, Hindu New Year. 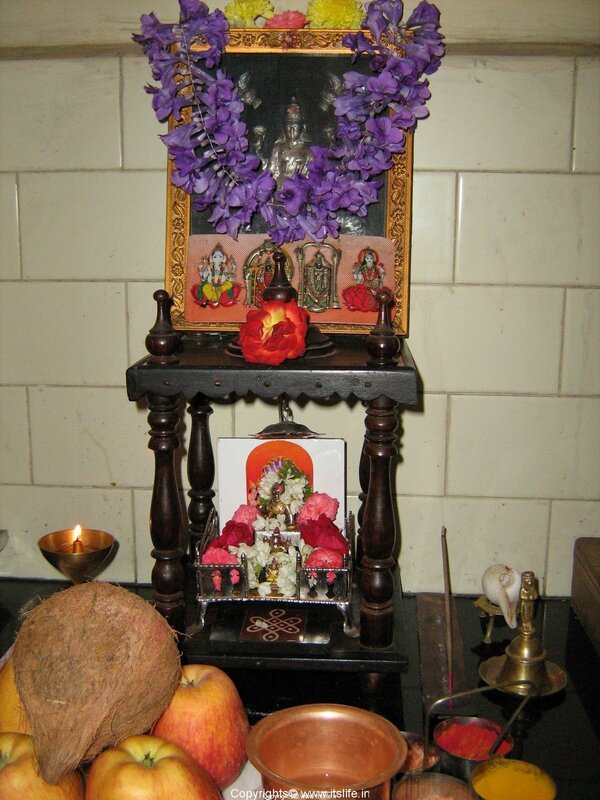 This falls in the Hindu month “Chaithra”, March-April in the Gregorian calendar. This year (2019) it is on Saturday, 6th April (Paridhavi Samvatsara). Time keeps on spinning and every year is a new year. A poem on Ugadi written by the great Kannada poet Bendre begins like this “Uga Ugadi kaledaru Ugadi marali baruthide“, which means “as each year gets over a new year will dawn”. 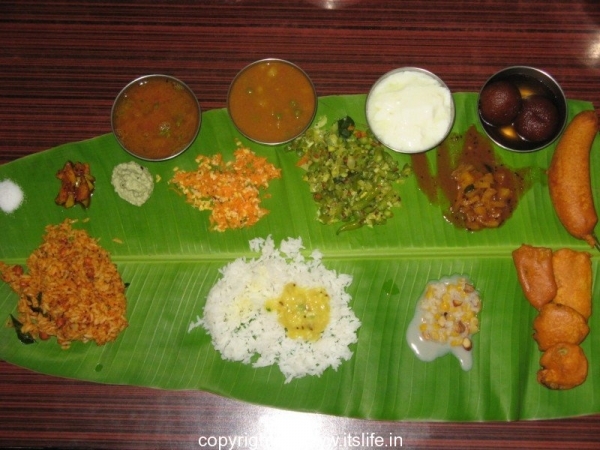 There are two types of Ugadi celebrated one is the Sauramana Ugadi and the other is Chandramana Ugadi. 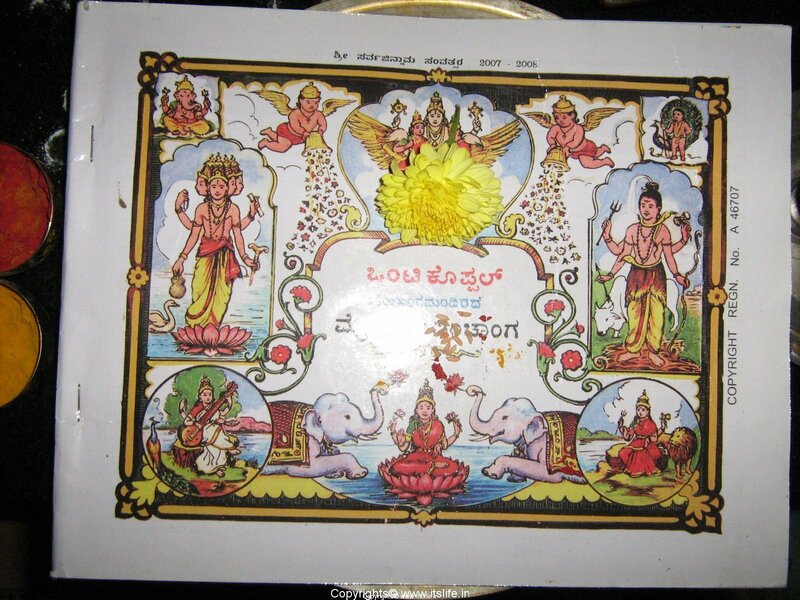 Sauramana Ugadi is celebrated when the Sun enters the Mesha rashi. 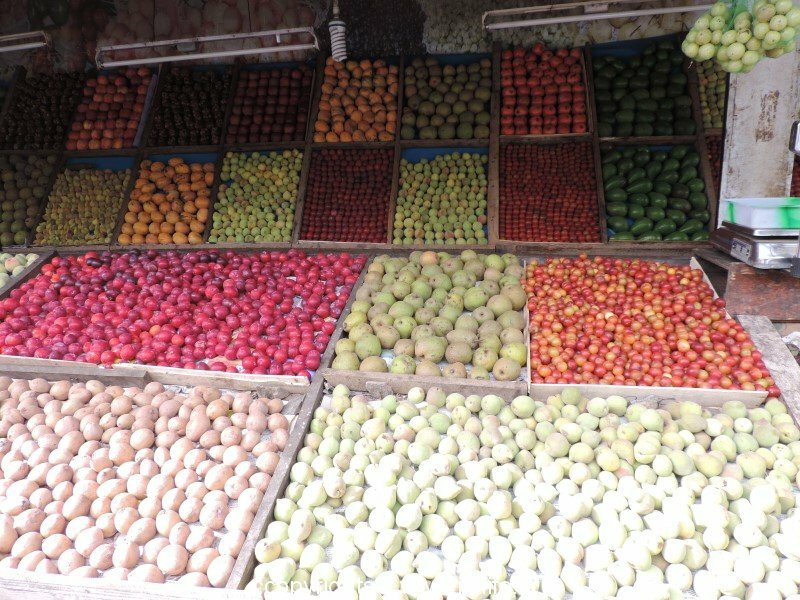 Whereas, Chandramana Ugadi is celebrated somewhere between March and April. This being the first day in the Hindu calendar, everyone celebrates this festival. People wake up before sunrise to witness the sunrise and take an elaborate oil head bath. Neem leaves are put in the bath water before taking a bath. The main door of the house is adorned with Mango and Neem leaves string known as “thorana”. In front of the main door the floor is decorated with beautiful Rangoli (patterns drawn using white chalk powder). 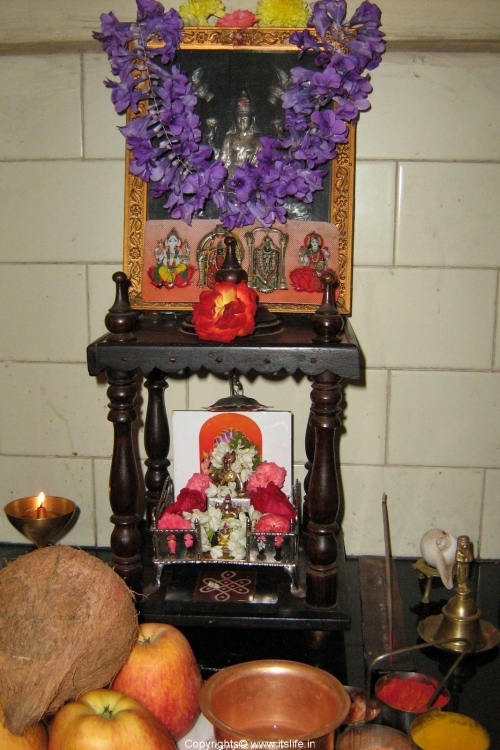 The family deity is worshipped at home according to their custom. All the family members wear new clothes on this day and prostrate before god and elders. On this day the new Hindu calendar / almanac (Panchanga) is worshiped, opened and read for the first time. 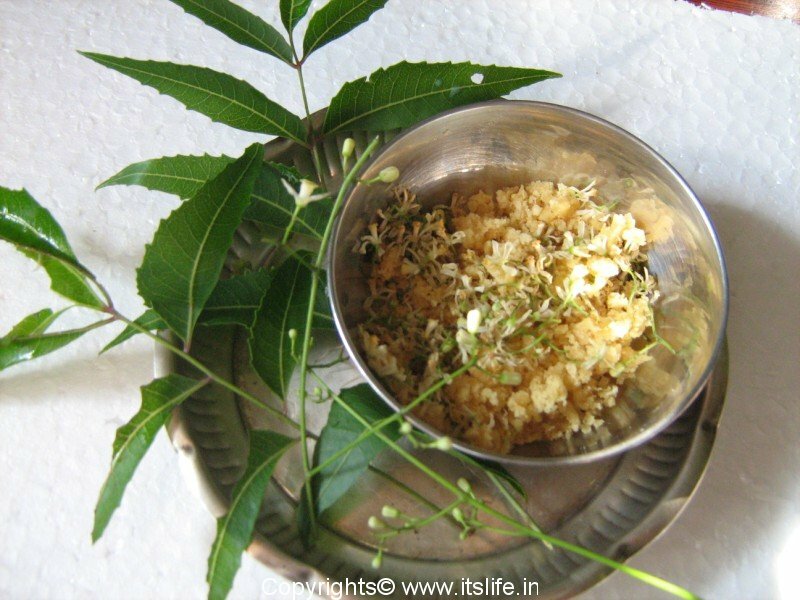 The bitter Neem flowers are mixed with Jaggery and offered to god and it is distributed to everyone in the family. This is practiced to remind us that both happiness and sadness have to be experienced in one’s life. Neem is also very good for health. Labha Labhav Jayaa Jayav” – Sri Krishna says this to Arjuna in the Bhagvad Geetha. The meaning of the above verse is whether sadness or happiness; gain or loss; win or lose all these aspects of life should be treated equally. Sarvarishtha vinaashaaya nimbakadala bhakshanam” – This shloka/verse is chanted at the time of consuming the Neem and Jaggery mixture. The meaning of this shloka/verse is “attain a healthy body, gain wealth, destroy negativity and consume the Neem leaves”. The family according to their wishes prepare a variety of delicious traditional food like Holige/puran poli (sweet bread), Payasa/Kheer (sweet milk), Chitranna (colored rice), Palya/Vegetable side dish, Ambode (spicy flat/round crispies), Bonda/Bhajji (vegetables dipped in flour and deep fried), Kosambari (mixed salad), Tovve/dal (cooked split red gram), Saaru/Curry etc., The meal is served on a plantain leaf and family and friends eat together. In the evening people visit temples or greet their relatives to usher in the New Year with new hope. Other states of India like Assam, Jammu and Kashmir, Kerala, Maharashtra and Goa, Punjab, Sindhi and Tamil Nadu also celebrate New Year.